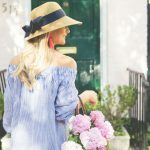 Welcome to the 365th Metamorphosis Monday! Today’s Before and After takes us on a trip back in time, all the way back to the 13th century. 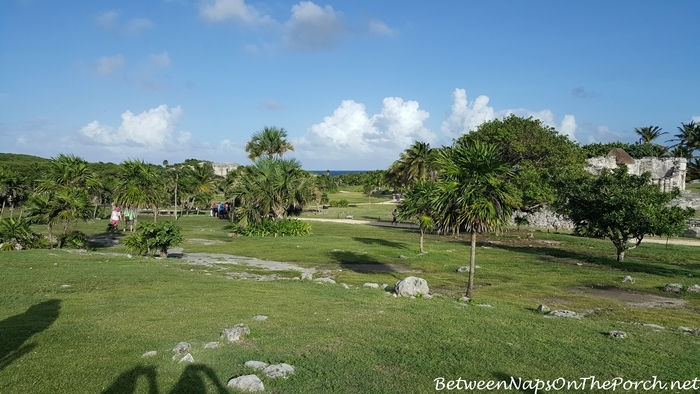 In November while “Sailing with the Scotts,” I had the opportunity to visit Cozumel pictured below. 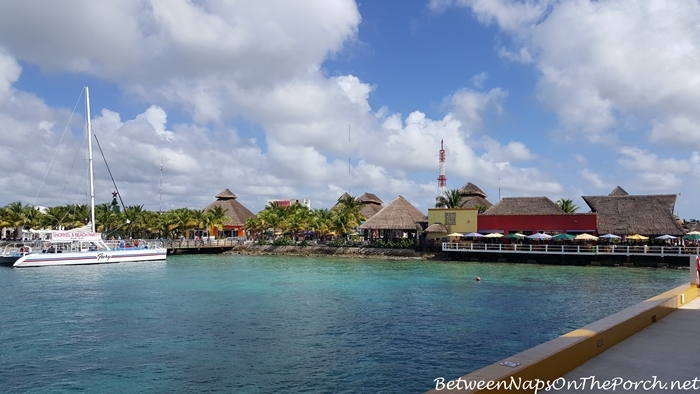 Once we docked in Cozumel, a big group of us took a ferry to the city of Playa del Carmen, Mexico. 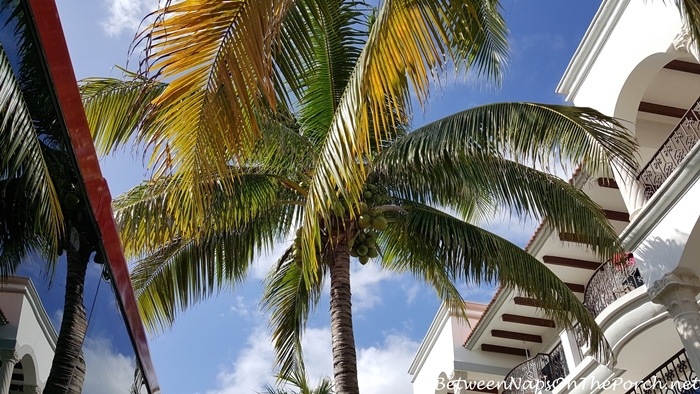 In Playa del Carmen, it was the first time I had ever seen coconuts on a palm tree! I’ve heard they can be dangerous to walk under and now I see why. Can you imagine if one of those fell as you were walking underneath! From Playa del Carmen, we took an hour-long bus ride to Tulum. 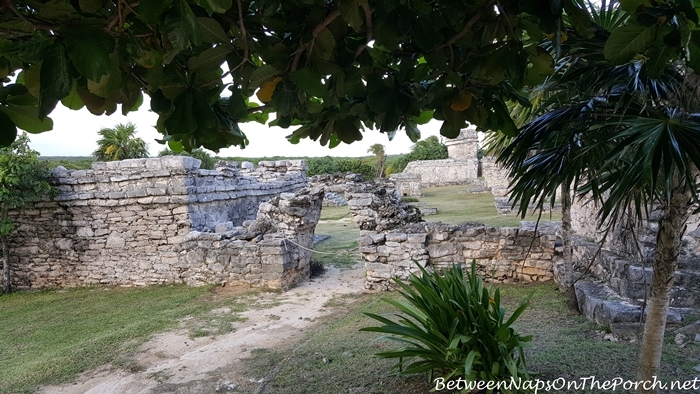 While there, we visited the ruins of an ancient city thought to be the last city built and inhabited by the Mayans. This city was in its heyday during the 13th to 15th centuries and was still around when the Spanish began moving into this area. Historians know this because they found murals depicting horses which were not seen in this area until the arrival of the Spanish. This is how archeologists believe the city would have looked back then. It was a seaport/trading hub for turquoise and jade. The city is surrounded by a 784-meter wall that helped provide protection for those who were living inside. Our guide told us that only priests and those of nobility were allowed to live inside the walled area. 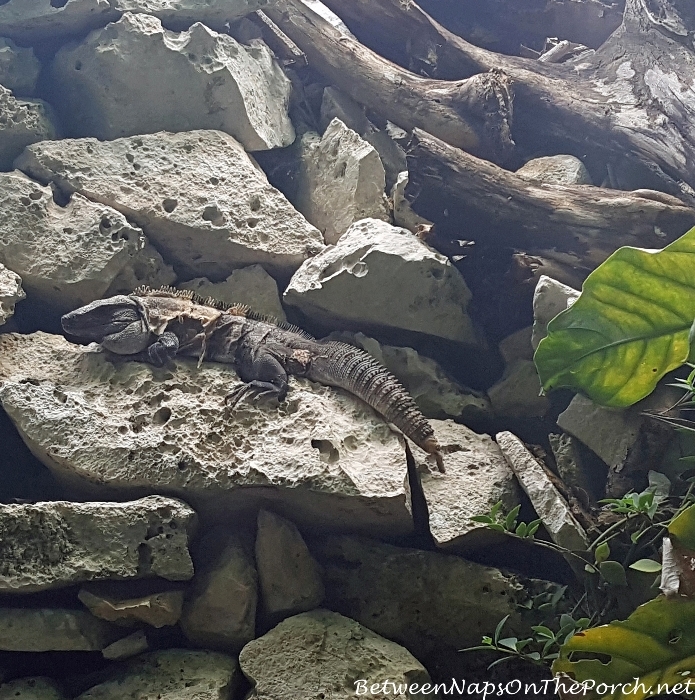 We saw a lot of these HUGE lizards during our visit, including this one sunning himself on the stone wall surrounding the city. He looks prehistoric, doesn’t he?! I couldn’t get over how big they were…like the size of a small cat, just shorter! This was the only Mayan city built along the coast. Entering through one of the five openings in the wall, this was what we saw. 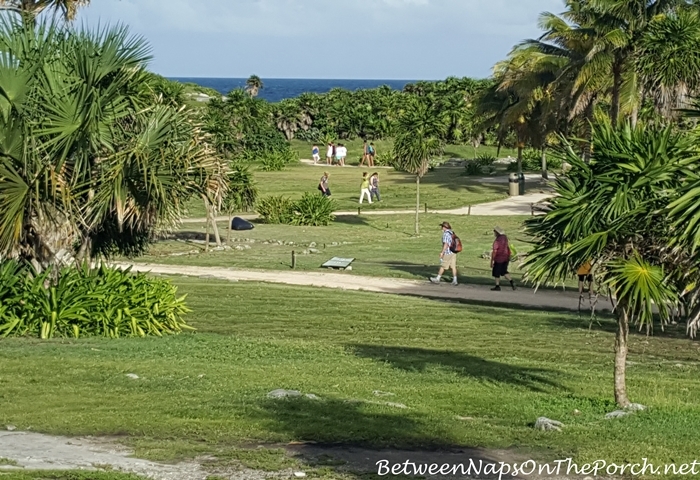 In the center of the photo below, you can just barely see the Caribbean Sea in the distance. You can see it a bit better in this zoomed-in view. The water was sooo blue! Visiting this place gave me the chills as our guide told us more about it. He told us that the Mayans performed human sacrifices to their Gods and those took place at the very top of the stairs in front of the temple. That steep portion you see going up the front is actually stairs. Our guide described a ghastly scene, explaining in detail how the sacrificing was done (ugh) ending by saying the body of the person was rolled down the long, front stairs afterwards. Often those being sacrificed were prisoners they had captured during battles when they were defending their city. This whole area around the temple was roped off. In days past you could walk up the stairs and look inside the temple. Our guide said that too many people had fallen and been injured, so now no one is allowed to walk up the front stairs which are super narrow and dangerous. 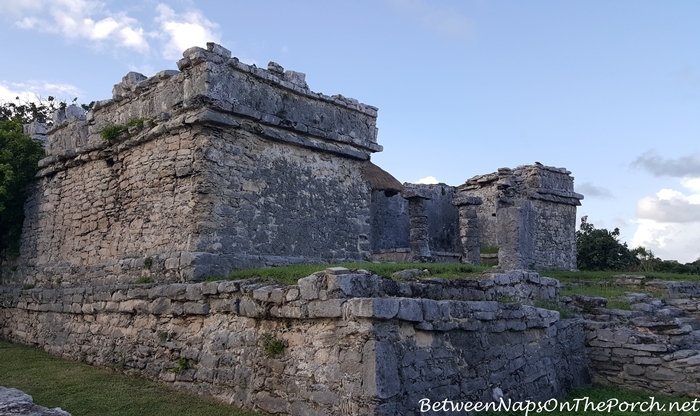 From what I’ve read online, historians and archeologists are still unsure what ultimately happened to the Mayan civilization who lived here, but it’s believed the Spanish brought diseases to this area, resulting in a lot of deaths. The area was eventually abandoned. …this is the view. 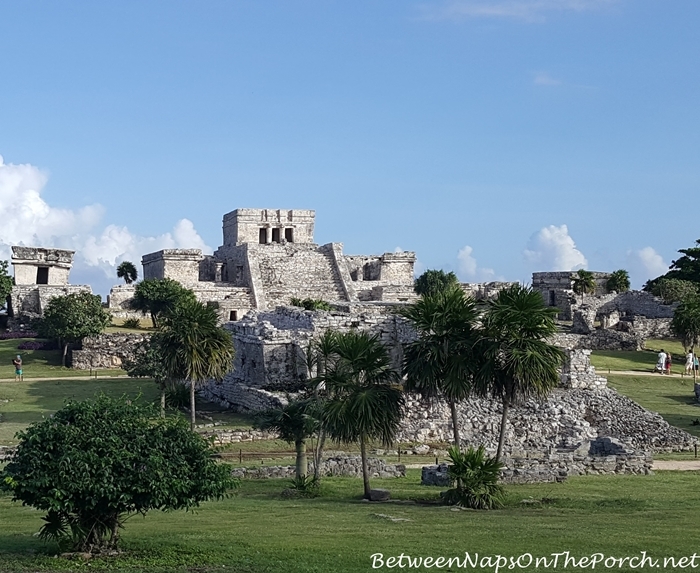 The ruins are just a few feet away from the cliffs here along the east coast of the Yucatan Peninsula. 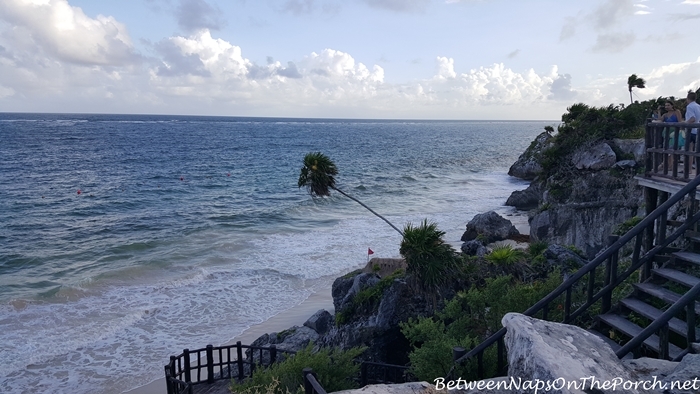 Click the image below to watch the waves crashing along the beach in Tulum. 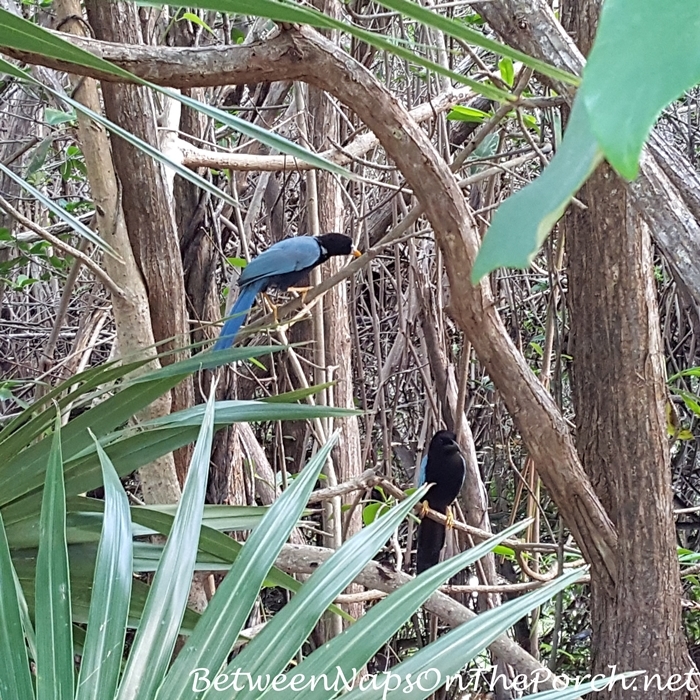 As we were leaving, we saw these gorgeous blue and black birds flying around in the mangrove forests that are so plentiful in this area. 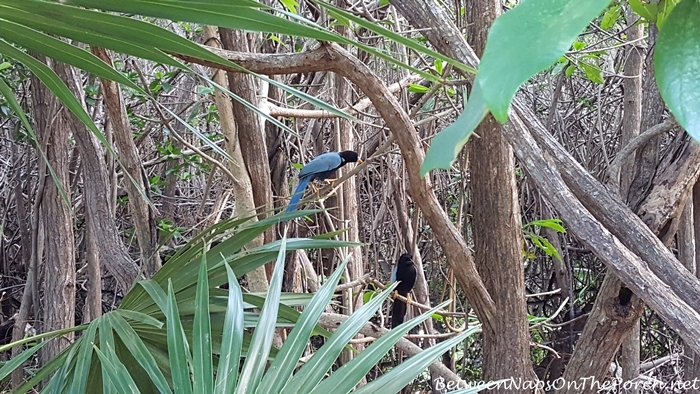 They are Yucatan Jays. One of my favorite things about travel is the opportunity to see beautiful birds that I’ve never seen before. So exciting! 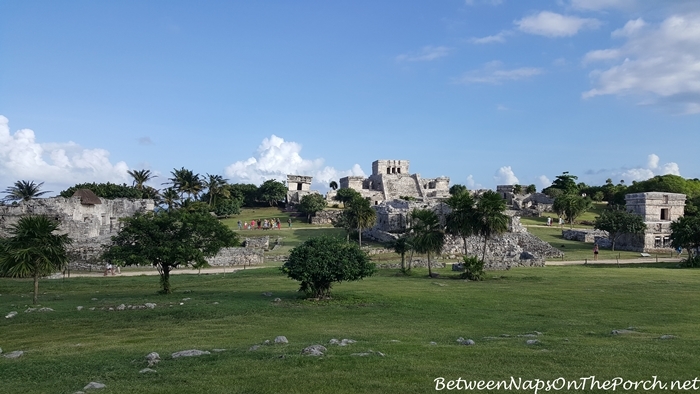 Have you ever visited Tulum and this ancient Mayan city? 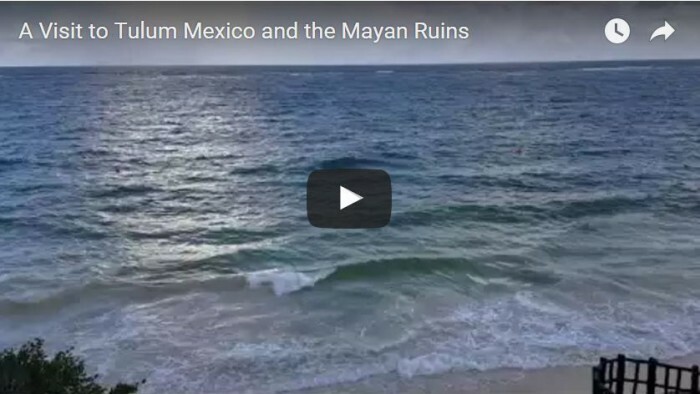 It was fascinating and I very much recommend a trip there if you ever visit this area of Mexico or nearby Cozumel. So interesting, Susan! I got the willies when you shared that little tidbit of human sacrificing. The area takes on a dark feeling feeling after learning that I am sure. The lizard would have had me saying oh heck no! See ya’ll later! What an amazing trip!! It looked so warm there, I really need that this morning. Thanks for hosting another fun party, too. Beautiful! I have always wanted to go. I love history’s mysteries, although I could do without the sacrifice details, too! 😉 Thanks for the party, Susan and the trip! Those steps do look dangerous. I wonder if any of the people performing the sacrifices ever unintentionally sacrificed themselves while carrying someone up to be sacrificed. I would imagine that the person they were trying to get up there would be struggling, which I think might make those steps even more dangerous! What gorgeous birds. Did they ever “speak”? They look like they would be loud. Thank you for taking me to a new and interesting place. I enjoyed learning about it. Thanks for hosting Susan! I hope you have a great week. Beautiful photos, Susan! Thank you for hosting the party! I was there many years ago and was able to go on the stairs. Going up wasn’t bad, it was coming down. Beautiful place. I love traveling and also seeing photos of other’s travels. Thanks for hosting MM! I enjoyed your post. Interesting commentary and love the bird pics. I can image you felt erie there! So old and a lost civilization. Not fun thinking about human sacrifices. Such a fascinating place. The birds and sea and landscape are beautiful. The ruins are incredible. I remember my parents talking of visiting many years ago and climbing the steps. Not an easy feat and such an unpleasant history. Thank you for sharing this incredible place. I’m having a bit of trouble linking up. Inlinkz isn’t finding my back link. It’s there so I’ll keep trying. Thanks for hosting! 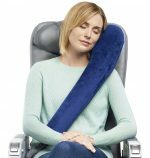 Christi, I just found it at Inlinkz and was able to approve it to post, so it should be there now. Thanks for letting me know. Yeah, it was creepy hearing about the past there. So awful to think stuff like that went on back then. Wow, Susan, Sailing with the Scotts must have been ah-mazing! 🙂 Fabulous photos! Thanks for the party again this week! That was fun! My husband especially liked the pics of the birds. Might have to put that trip on the bucket list. Very interesting place. So cool to see the lizard and birds. Fun to see animals of a different lands! Susan.. so funny about the coconuts… my son was married a few weeks ago in Playa del Carmen on the beach.. 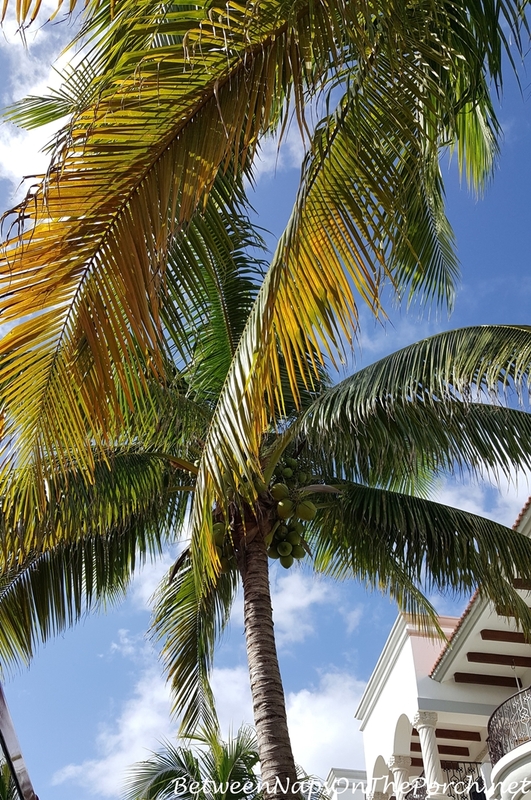 I happened to look up during the ceremony and saw a palm tree loaded with coconuts.. all I could think of during the entire ceremony was… what if one of the 120 guests was knocked on the head with a falling coconut.. I didn’t mention it to anyone after the wedding because I thought they would think I was CHICKEN LITTLE.. so it was more than funny to read your comments today!!! 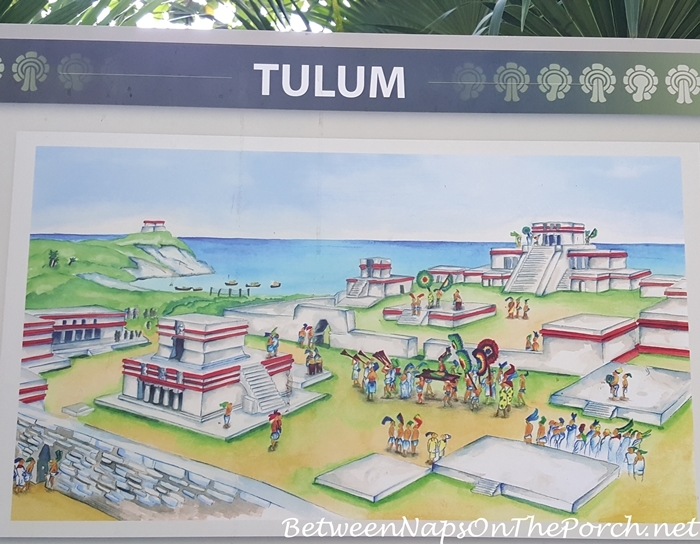 Thanks for sharing these lovely photos of the Tulums Ruins of Ancient Mayan. I’d love to go one day. Thanks for hosting this great blog party. …Thelma. Really interesting day trip and your photos are beautiful, especially those birds. Wish they’d migrate to the US. 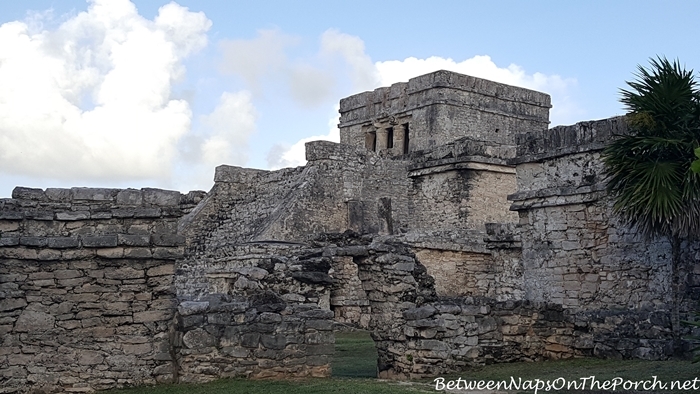 Fabulous photos of the ruins….we went to the Mayan ruins of Chichen Itza over 10 years ago….I remember thinking about those very steep steps to the top that they actually let tourists climb..I hear they do not do that anymore as there were too many unfortunate accidents. So glad you experienced such a wonderful trip….You certainly have been traveling to many beautiful places recently!…..Thanks for hosting Susan…Have a great week! I’ve been there with my family and our girls, who were teenagers at the time, loved it. Go figure. It’s such an interesting place to visit and I would highly recommend it too. Thanks for sharing and for hosting. Have a great week. My husband and I were there in 2004 and it was so fascinating….I couldn’t believe the color of the water there or for that matter, how blue it was when our ship docked. On the drive out to the ruins, our bus came upon a wreck which delayed us getting back to our ship….we almost missed it! There would have been a lot of mad folks if that boat had left without us! 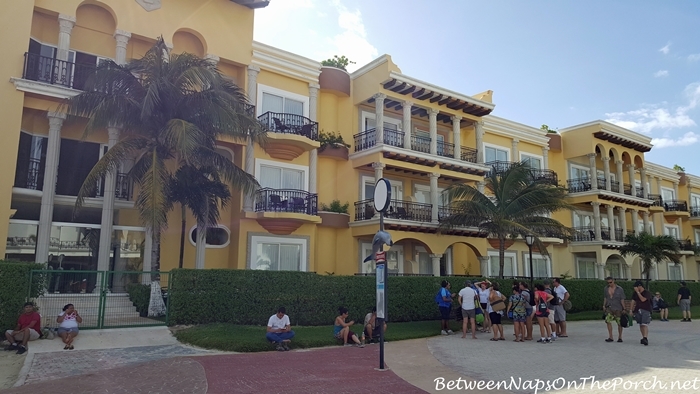 I think we need to go back soon…..I love visiting Mexico! 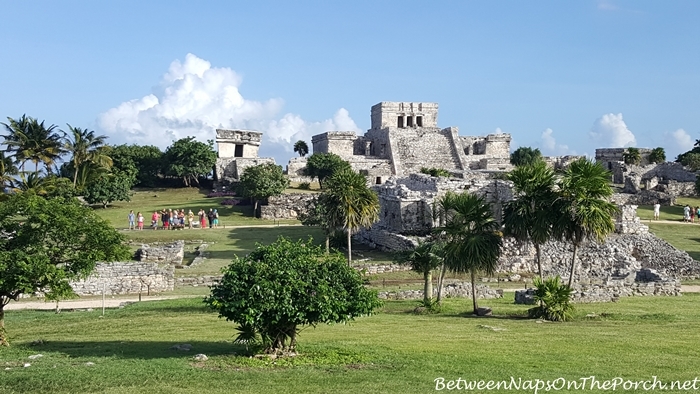 Would you believe I visited Tulum last month? I, too, am posting about it sometime soon so some of your readers may get a double dose! I am fascinated by ruins and marvel at the ability of ancient civilizations. How fun to see your pics! We were just there in November after attending our son’s wedding at a nearby resort. Loved it all! Thanks for hosting this terrific weekly party and sharing your adventure at the ruins. Darn, my comment disappeared. Since I do not travel much I love going with you! Thanks for thr wonderful photos. And thanks for hosting! If you are really interested in ancient Mayan life, see the grisly but extremely well-done movie, “Apocalypta”, produced and directed by Mel Gibson. As brutal as the Spanish Conquistadors were, they were NOTHING compared to the horrifying brutality of the Mayans themselves and their culture of human sacrifice. “Apocalypta” is a visually stunning and compelling movie, but it is also very difficult to watch. But it is worth watching once. 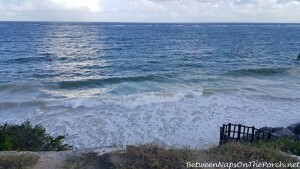 I loved our visit to Tulum and your photos are beautiful! Your photo of the “lizard” doesn’t begin to convey the huge size of these guys; they were so intimidating! Did you go through any of the areas where people lived at the ruins? When I was there we walked around the area to the left of the center temple and there were “houses” that were all connected to each other by winding walkways. We could see inside the rooms where people lived. I went up the stairs to the temple when I was there. The view from the top is spectacular. It is too bad people aren’t allowed to go up any more but it was tricky when I did it and it would have been easy to fall and get hurt. So glad you got to go. We did peer into a few of the other buildings but I don’t remember much about them now. We had so little time there…only about 20 minutes after the guide lets us go explore. I wish we had had more time there.